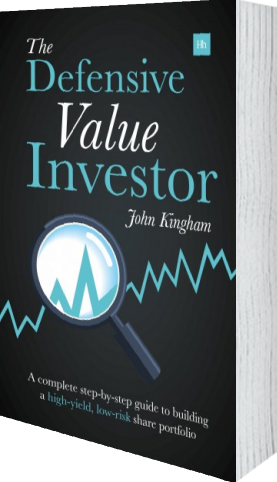 John Kingham is an experienced private investor, investment blogger and newsletter publisher. 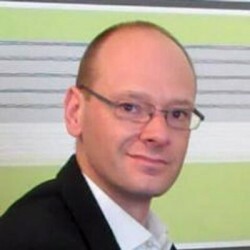 His professional background is in computer software for the insurance industry, where he worked for clients ranging from Lloyd's syndicates to some of the world's largest general insurers. The Defensive Value Investor presents a simple and comprehensive strategy for building and managing a share portfolio. Defensive investing focuses on strong, steady companies that produce decent rates of income and capital growth, but with risk often coming from a lofty share price. Value investing on the other hand is focused on buying companies on the cheap, but the danger is that these companies are cheap for a reason. 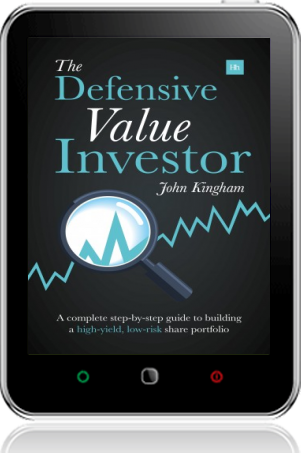 Defensive Value combines the two and involves buying relatively defensive companies at value for money prices. John Kingham explains how to screen for shares with the best combination of quality, value, income and growth, how to conduct a thorough qualitative analysis, when to buy, when to sell, and how to combine your investments into an easily manageable portfolio to reduce risk and increase returns. He also illustrates the method throughout with the help of real-life examples. Each step of the process has a simple "rule of thumb" to make it easy to remember what you should do. When these rules are put together they provide a checklist of straightforward, actionable statements for the Defensive Value Investor to follow. You may choose to adopt the full Defensive Value approach, or you may prefer to incorporate some of the techniques into your own share analysis. Either way, this comprehensive book is an essential addition to the library of every investor. A guide to building a high-yield, low-risk share portfolio. "John's approach to high yield, low risk investing is based on the Benjamin Graham tradition of being systematic and fact-based, rather than speculative."